Today’s wallpaper selection is a bit different. Instead of directing you to one download, I’m giving you a link to several, including the above image. 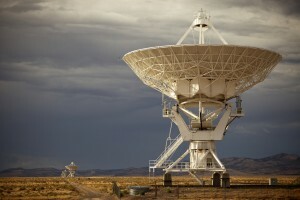 Check out kuriositas’ 10 Spectacular Radio Telescopes Around the World for some beautiful photos. Afterward, come back and place your bets—which one is my favorite? I really tried to watch the launch(es) of the Anomalous Transit Rocket Experiment (ATREX). On several different occasions, I fired up the Wallops video feed, only to disconnect it a few minutes or a few hours later when the launch was scrubbed once again. In the end, I missed the launch of the five sounding rockets—getting up at 4:00 a.m. doesn’t sound like quite as good of an idea to me now as it did when I was a teenager. So, like the rest of the world, I have to make myself happy with the photos and videos circulating around the Internet. So far, my favorite images come from NASA’s Earth Observatory: A Barrage of a Launch. Although there are many fantastic scenes in this video, my favorite is the section showing the close-up views of the Apollo 17 landing site. Sweet. Keck in Motion from Andrew Cooper on Vimeo. Many thanks to my friend Annie W. for drawing my attention to Andrew Cooper’s “Keck in Motion” video. Every time I watch it, I find myself saying, “Oh, this is the best part!” I can hardly finish the phrase before contradicting myself with, “Oh, wait, THIS is the best part!” and then again with “No, wait! THIS is the best part!” If I had to choose, I’d say marks 1:01, 1:56, 2:14, 2:26, 2:52, 2:58, and 3:03 all begin scenes that are good candidates for “the best part!” However, the scene that starts at 2:46 ultimately wins the contest. My students are on spring break this week, so we snuck away to go hiking for a couple of days at Turkey Run State Park. 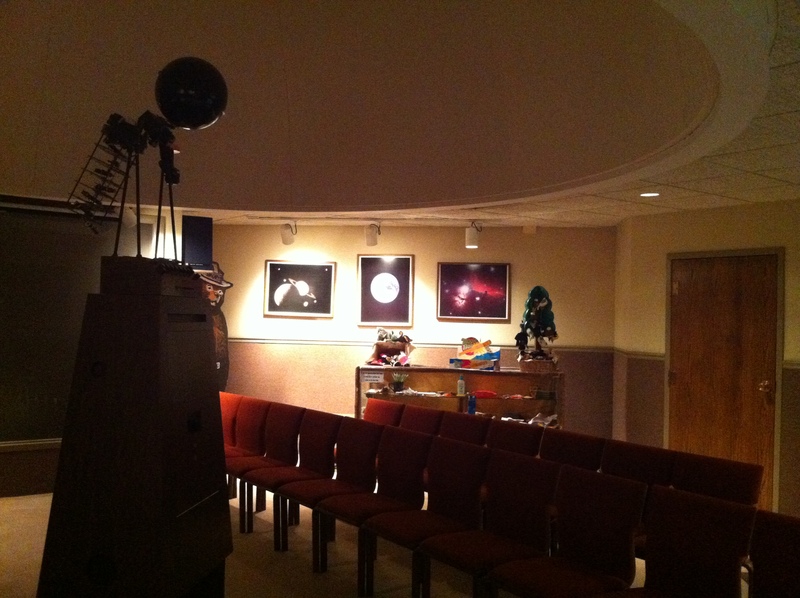 * When we stopped in at the Nature Center to read about the local geology yesterday afternoon, we discovered a miniature planetarium in the building. We were anxious to get out on the trails so we didn’t make the planetarium show yesterday, but we made time to watch it this afternoon. 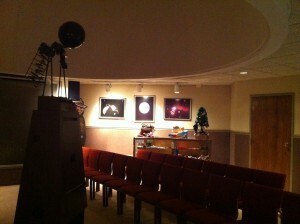 As you can see by the photo, it’s a nice set up—a small dome with a movable projector. The park interpreter, Angie, opened the show with a projection of the sun, rising in the east, following its early spring line, and setting in the west. After this, she walked the audience through the circumpolar constellations (with relevant myths) before branching out to the story of Cassiopeia, Cepheus, Andromeda, and Perseus. Someone had clearly taught the kids sitting across from us something about Greek mythology—they were all over the backstory for Perseus. The last third of the program was dedicated to Orion and the surrounding constellations. Props to the woman in the audience who knew the distance to Betelgeuse (640 light years from here, if you’re interested). Angie did a great job, even pointing out the difference between a constellation (Ursa Major) and an asterism (Big Dipper). I could tell she was used to talking to children because she worked in several “let’s review what we’ve learned” passages into the presentation. And before she brought the program to a close, she rotated the stars so the audience could watch the circumpolar constellations do their thing over the course of the artificial night. 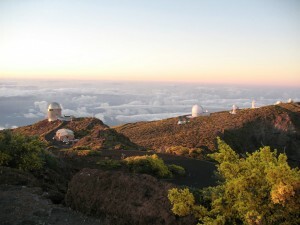 The program ended where it began, with the sun rising in the east, bringing us full circle in just over forty minutes. 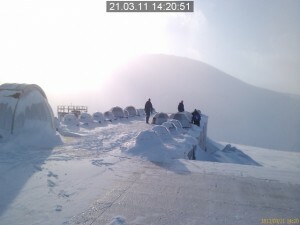 *The photos from my phone are available on my flickr site. Sadly, I don’t have any from our hike down Falls Canyon “trail” (the trail looked suspiciously like the creek bed), mostly because I was never able to find a stable point to stop and mess with my phone. If I learned one thing thing this weekend, it was this: do not hike Trail 9 at Turkey Run State Park in the rain. There’s a reason it’s considered the most rugged trail in the park. 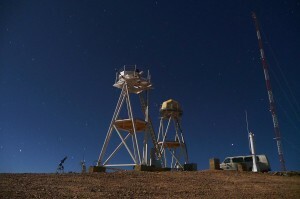 All that’s missing from this image of the Cerro Armazones Site Monitor is an Imperial AT-AT Walker. Click on the image to download the wallpaper (the links to wallpaper are in the right sidebar). MacAdam Student Observatory. 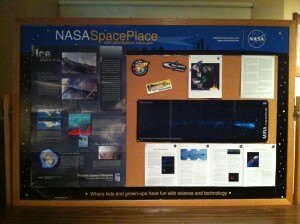 Image courtesy of UK College of Arts and Sciences. 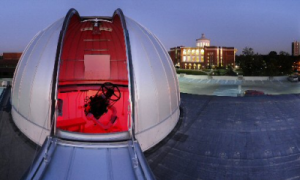 This photo of the MacAdam Student Observatory at the University of Kentucky is a preemptive attempt at diplomacy. Five days in advance, I’d like to say “No hard feelings, right?” to everyone at UK. I know you’ve been waiting for months to take your revenge on the Hoosiers for that December loss. You’re probably sick of ESPN playing that clip of Christian Watford on endless loop. I believe in you—I even picked you to win it all in the office March Madness contest (seriously, I did). But truthfully? I’m now hoping that you’ll give it up to IU this Friday. Don’t get me wrong. I want you to put up a good fight, maybe hang in there until deep in the second half. But at the 20-second mark, I want it to be a two possession game, with the gap working in IU’s favor. It’s nothing personal, okay? It’s just that I have to share a house with a mad Hoosier fan and my life would go a lot more smoothly this coming weekend if IU made it into the Elite Eight. April is depressing enough as it is (T.S. Eliot had the sentiment right, even though he wasn’t talking about the dearth of spectator sports in the spring). If IU could just go out in the Elite Eight instead of the Sweet Sixteen, that would make things just a little bit better around here. MacAdam Student Observatory Dome. Image courtesy of UK College of Arts and Sciences. Just one more IU win, that’s all I want. What’s a few points between long-time enemies rivals? I hope the summer weather that arrived in Illinois this week is only temporary, as I’m not ready for the end of winter. 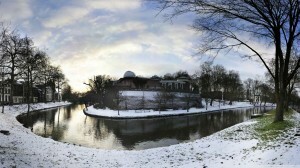 This image of Sonnenborgh Observatory, the oldest domed observatory in the world, makes me sigh. I wish I could go to the ice rink instead of my office. 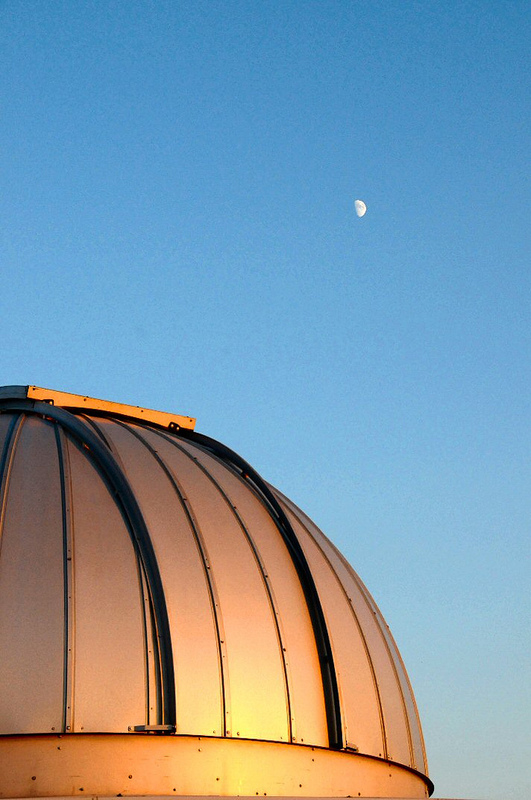 Dome covers at Kjell Henriksen Observatory. Image courtesy of KHO. If I had known when I left my hometown (latitude: 48.71 N) that I would never see the northern lights again, maybe I wouldn’t have been in such a hurry to get out of the valley. Or maybe I would have—I hated the northern lights when I was a kid (seriously), so I might not have thought it would be much of a loss. Now that I know that relatively few people see the northern (or southern) lights and I’ll be lucky to see them again….yeah. Bad decision. The aurora borealis are on my mind this week because almost every person* I follow on twitter has been obsessing over the ongoing solar storms. Last’s week’s solar flare was a bust for aurora viewing in my part of the world and I don’t think the newest flare is going to produce anything for us, either. The collective wisdom of twitter is saying otherwise, but we live so far south that I’d be afraid of any solar flare/coronal mass ejection that released enough charged particles to light up our night skies. AGF-345 field work by Njål Gulbrandsen. Photo courtesy KHO. If you’d like some inspiration for winter observing, visit the KHO homepage. 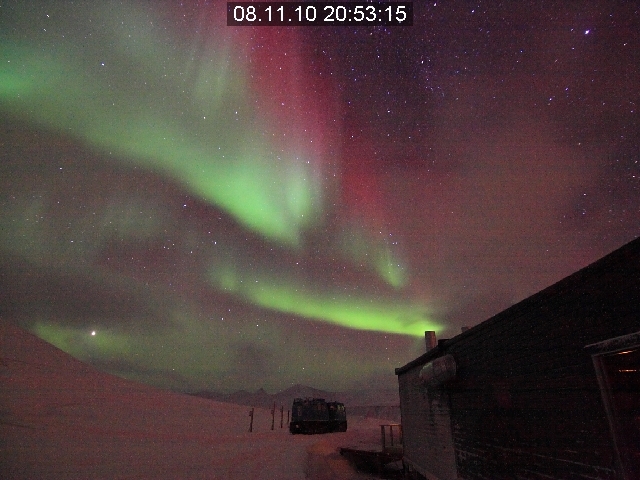 The ‘History’ tab details the development of optical observations of aurora, but I found the entries in the ‘Documents’ section much more interesting, particularly the document about Kjell Henrikson, Polar Bear on a Hot Tin Roof. My architecture students should check out the technical drawing of KHO and the other construction documents (including the construction photos, click on the ‘Image Gallery’ tab). Everybody should watch the dome removal videos: Safe Turtle Mode and Scared Turtle Mode. *The cats, deer, squirrel and robots I follow on twitter haven’t expressed any interest in the northern lights. **I’d refer to you the January 1997 Discovery article on dayside aurora, but the online edition doesn’t include the photos, so what’s the point? Today’s wallpaper is a follow-up to last week’s, which was an introduction to the Roque de los Muchachos Observatory on La Palma, Canary Islands. I can think of nothing I need more right now than a vacation on a sunny island with a collapsed caldera, a host of endemic species, and a large group of telescopes. Click on the image and scroll down for links to the wallpaper (right sidebar).